It may not feel like a big deal to skip brushing every now and then. Your teeth may not fell out but you are certainly increasing your risk of diseases. Tooth decay is, in fact, one of the most common disease that is widely found in children nowadays. Dental cavity is basically a hole in your teeth. When you drink or eat sugar containing drinks or food, a sticky film of bacteria that is called plaque forms on your teeth. The bacteria present in plaque produce acids that attacks the tooth enamel. Over time the enamel breaks down and tooth decay starts that will eventually cause cavities. Prevention is always better than cure. The best cavity prevention is to have a good oral hygiene routine. This will remove the sticky film means dental plaque, that is fostering harmful bacteria and food particles. Moreover, flossing is essential as your toothbrush can’t reach in between the teeth. Make sure you floss both sides of your mouth and back molars at least once a day. Brush twice each day and for added protection, use mouthwash daily after every brushing. Starchy and sugary foods like cookies, chips, donuts etc. are a huge problem for your teeth, especially if they aren’t cleaned from the mouth promptly. But there are certain foods and beverages that are good for your teeth and protect your pearly white. These include fresh fruits and vegetables, cheese, unsweetened tea, coffee, sugar-free gum, candies, and raisins. Water has an entirely neutral pH and helps in replenishing the saliva, making it a good choice for your dental health. Another of the best way to maintain good oral health is to have routine professional exams and cleaning. The places where your toothbrush and floss can’t reach, your dentist will clean all those areas of your mouth. They would even check for any early signs of decaying and will take prompt action accordingly. Furthermore, if you are prone to dental issues then your dentist will recommend you specific preventive treatments and more frequent visits. As we discussed already, water is very good for dental health. Many cities have added fluoride in their public water supply that makes it all the more notable treatment to prevent the tooth decay. Drinking tap water not only promotes saliva generation that helps in rinsing the harmful bacteria but also to remineralize your teeth. If you exclusively use bottled water, try to mix some tap water in it to protect your teeth. Dental sealants are a protective coating that is applied to the back teeth’s surface. These sealants will seal off any grooves where food can easily get trapped. 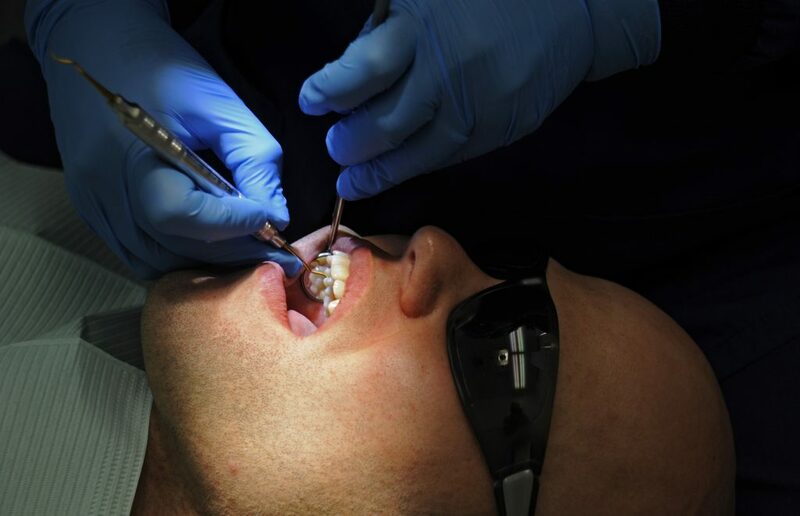 Ask your dentist about the sealants as they can prevent tooth decay among other dental issues. With good dental care, they can last to around ten years. These are a few of the essentials that you should follow to keep your teeth in pristine condition and have an excellent oral health.